Be the first to share your favorite memory, photo or story of Mary V.. This memorial page is dedicated for family, friends and future generations to celebrate the life of their loved one. MEBANE: Mary V. Moggio King, died Wednesday, November 28, 2018, at Duke University Hospital. She was born in Baton Rouge, LA, the daughter of the late William A. Moggio and Helen Huebner Moggio. In addition to her parents, she was also predeceased by her brother, John A. Moggio; sister, Virginia Styer; and brother-in-law, William Hamilton. Mrs. King was a clinical researcher for 43 years at Duke University Medical Center. She received her Bachelor’s Degree from the University of Pittsburgh and her Master’s Degree from the University of North Carolina at Chapel Hill. She loved spending time with her grandchildren, helping people, and was a mother to many. 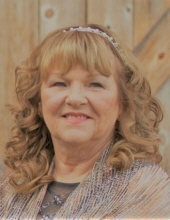 Mrs. King is survived by her husband of 35 years, Randy King; sons, William King of Mebane, Nathan King (Jessica) of Mebane; sister, Patricia Hamilton of Valrico, FL; and grandchildren, Kaylin King, Allie King, Jayson Blackwell and Weston King. A funeral service will be held 11 a.m., Monday, December 3, at Clements Funeral Chapel in Durham, with Pastor Michael Ramsey officiating. Burial will follow at Oak Grove Memorial Gardens. To send flowers or a remembrance gift to the family of Mary V. Moggio King, please visit our Tribute Store. "Email Address" would like to share the life celebration of Mary V. Moggio King. Click on the "link" to go to share a favorite memory or leave a condolence message for the family.